Picky Eating is the common term for what Picky Eaters do. These children are hard to please and to feed in general, but they rarely end up starving themselves. Patterns of over-selecting food are common among children with developmental disorders, but they are also common among all children. Estimates vary widely among studies, but in a recent report, the estimate was about one-fifth of all children. There are several possible causes of food selectivity in autism. Behavioral problems that affect feeding and eating in autism and other developmental complications include sensory textures and flavors of food, or they have had trouble chewing or swallowing and unpleasant experiences with food. Therefore, they tend to be less flexible in general, and especially less flexible than most when it comes to food. Picky Eaters can eat a lot. What they constrict mainly are the types of food they’ll eat or the conditions under which they will eat. The most common type is the kid that prefers the “all brown” diet, as one father put it, and that consists of fried, starchy, sweet and salty foods that have great appeal for children. There is, of course, some variation among picky eaters, but they tend to like the menu above. Now think of every fast food restaurant that caters to children and what is on their menu. They all tend to behave in the same ways when it comes to food. Picky Eaters won’t eat many of the foods the rest of your family likes and eats all the time. They can find some foods so disgusting that they gag when they smell it. Picky eating can come along with other rigid rules imposed on food: foods cannot touch each other; some foods can only be eaten from certain plates or cups or certain places (only McDonald’s fries), and so on. There is no doubt a psychological component to this. When you are identifying strategies to deal with extreme food selectivity in autism, it is important first to identify the causes of food selectivity in autism. Picky eating is a useful survival strategy that kept us alive since we were all hunter-gatherers. For many thousands of years, we traveled in small tribes from one new place to another. If we ate every plant along the way–we wouldn’t be here. Children that were too adventurous (not picky enough) would poison themselves on any of those many plants that were trying to kill us. Their genes never made it this far. Just as important is the parent, especially the mother. The mother that could be nonchalant about her child not eating probably didn’t have many offspring that made it either. The genes of mothers unmoved by their child’s refusal to eat tend not to survive generations. Most mothers report that they are anxious about their children’s picky eating habits. Indeed, changes in mothers’ brains following bonding with their children make them acutely sensitive to signs that a child is not eating. As a result, mothers can experience feelings that fathers and other people may not understand, but that matters a lot if a change plan is to work. What Can You Do About Picky Eating? Do you often wonder how to get your autistic child to eat new foods? The key to success is to understand that the problem is mainly a fear of new foods or new food experiences. Therefore, what we do to help picky eaters become more flexible and to try new things tends to be similar, even though picky eaters can be that way for different reasons. 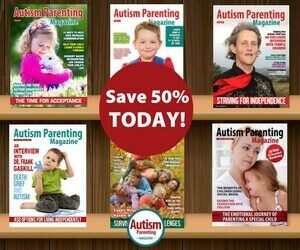 Do you question how to get your autistic child to eat vegetables and other healthy foods? Try to focus on the opportunity to be together and share an experience. Don’t pressure anyone to “eat,” “eat more…,” “eat this but not that,” etc., and don’t make a big deal when he/she tries something new. Your children should eat because they are hungry and they like what they eat. They should like coming to the table, and they should do all eating and drinking at the table. Eating should not be more about what you want than what satisfies your child, so common strategies that use rewards, praise or deal-making can be counterproductive. Eventually, you’ll require your child to at least tolerate the presence of the new food on his or her plate. Because you’ve planned plenty of opportunities to eat (usually five per day) and some general rules against between-meal “grazing” and eating or drinking anywhere other than the table, you can afford to say, “No” to whining and complaining about hunger at the wrong times. Take your time and allow enough time for your child to get over any aversion to the food. You try to introduce only one food at a time, and you stick with it. When you first start, the best foods for autism integration diets are similar to foods that your child already enjoys. For example, the new foods you that you “target” (that you hope your child will try), should be similar to foods that he/she already likes. Introducing new foods to picky eaters might look like going from chicken nuggets to trying baked chicken. Identifying meal ideas for autistic children can be challenging, but following this pattern for gradually transitioning from favorite food into a more adventurous option has proved successful for many families. We generally recommend five opportunities to eat in 24 hours. This includes three regular meals and two snacks. There isn’t a problem adding more opportunities, as long as they follow a regular pattern and some rules. What you want to avoid is eating whenever your child feels like it, especially if he/she has a constant “grazing” type pattern. If you have more meal/snack opportunities regularly expected in the routine, then your child won’t have to wait too long for another opportunity. Parents can and should address any doubts about creating an autism diet menu with their pediatrician or someone else they trust, because some children may refuse to eat for a while. Apart from a few, very rare psychiatric conditions, children will not starve themselves for too long. However, many parents experience stress and anxiety when their child does not eat. Even though they know that allowing in-between meal cheating or preparing a separate menu altogether (“running another restaurant”) will set them back, worried parents’ fears can sabotage the consistency of the program. This is why we recommend that parents that want extra assurance that this is not harmful to consult their pediatrician and inform the doctor of this program. Dietary supplements such as vitamin and mineral pills and/or liquid meal replacements will not defeat or interfere with the program or expected outcomes here. Finally, if you anticipate a lot of stress over the changes you plan to make, you might want to pick a time to do it when school or other pressures are at a minimum. We recommend that you make available: three regular meals per day from the family’s regular menu (which includes your child’s preferred and non-preferred foods), in developmentally appropriate portions (i.e., the right amounts for a child of that age and size). You want to avoid offering special menus or preparing things just because he/she will eat them. Any child’s influence over the family menu should also be carefully [but not completely] limited. You can serve two regularly planned snacks, and another one after dinner as well. Snacks should have their own menu, and the portions not meant to make up for what he/she did not eat at the regular mealtime. If you choose to offer a snack after dinner, it shouldn’t matter whether or not your child ate dessert. The point is to be on a schedule and to wait for a planned meal or snack time, rather than have a “just reach and eat” non-structure approach to eating. There should be a time limit for eating. By providing a developmentally and nutritionally appropriate amount for eating and no longer, you communicate that eating is important, but that it isn’t worth getting into a power struggle over. This amounts to between 10 to 25 minutes, although 30 minutes does not seem to be inappropriate, and may be easier to track. When the time is up, you simply remove your child’s plate from the table–unceremoniously. Be reasonable and don’t pull food out of your child’s mouth. If he/she begins eating, allow him or her to finish. Be respectful, but avoid games. There should be no special effort made to save the leftovers for the next meal unless that is what the rest of the family is doing. It is more important not to make eating an issue and a source of stress for the family. There should be no coercion of any kind to get anyone to eat. Coercion includes rewarding, cajoling, as well as threatening, scolding, guilt, or any other parental device to get a child to change his or her eating behavior in any way. It also means no discussion of his or her eating habits at the meal table, and preferably, nowhere else either. The meal table is exempt from unpleasant discussions. It should be a safe and pleasant haven, and not a place to discuss anyone’s eating habits or to go over unpleasant subjects. The most basic new rule is, ‘The entire family insists on enjoying their meals, and everyone is welcomed to the table regardless of how they behaved somewhere else.’ This also guides the rule for unpleasant and disruptive behavior at the table. If your child mentions that he/she doesn’t want to eat what you served, “That’s fine.” If he/she asks for something else instead, you can say neutrally, “No,” or you can encourage your child to wait until the next meal. If your child insists on bringing unpleasant, ongoing protests or otherwise disruptive behavior to the table, deal with it – but not at the dinner table. New foods: Introduce new foods one at a time–but with repetition. In a given meal that includes something he/she is likely to eat and a new food that he/she is unlikely to eat, serve more of the favored food, and a small amount of the non-preferred food. Place the non-preferred food on the plate without mentioning it. Don’t bother encouraging anyone to eat it. If or when he/she does not eat them, just take up the plate (or ask your child to put it in the sink) when the mealtime is over (all of the above rules apply). You can repeat this procedure for 10 or 20 meals before going on to another food. Sometimes, a child does not try the food during this initial round, but you’ve increased the chances that he/she will try the food sooner quite a bit. Missed meals: It is important to allow hunger to do what it is supposed to do–to motivate eating. Another one of your goals is to avoid getting into a power struggle over eating and to restore pleasantness to mealtimes. It is best to communicate that it’s okay not to eat, and anyone can wait until the next meal if he/she wants. At the same time, we think it best to avoid making changes in the next snack or meal menu choices or the amounts given–because he/she did not eat at the previous meal. As mentioned, this can be the hardest step for a mother, because all of her child-survival instincts come into play in very powerful, emotional ways. We expect benefits in doing this that involve improved nutritional choices: the long-term survival benefits of healthier foods and greater variety, and possible welcome at other peoples’ tables. Sometimes it is best to allow a child to have his/her own utensil and plate. This can make the rules of food-sharing more clear if needed, as well as to allow easier sizing of portions). Have your child engage in oral sensory play (e.g., blowing bubbles, blowing whistles) approximately 15 minutes before meals. This may help to warm up or sensitize the mouth region. 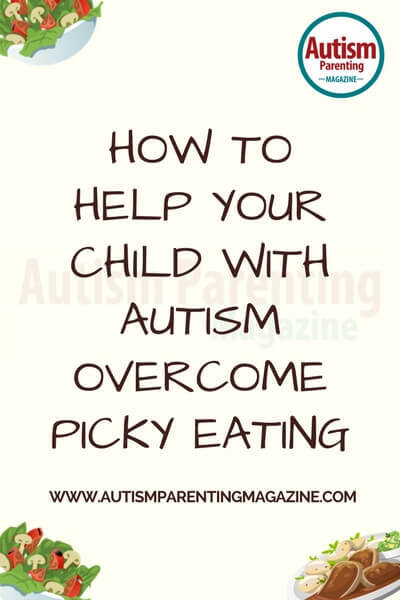 Picky food ideas for autism: Choose foods that have graded textures and that are close to the textures of the foods already enjoyed by your child with autism and food refusal will likely decrease the closer a new food is to an already loved one. The original article was written in 2015 by David Sponder, a Licensed Education Psychologist who worked with individuals with special needs for over 30 years. In addition to the LEP, David held a master’s degree in special education and teacher specialist credential for children with severe handicapping conditions. His specialty was working with children with developmental, emotional, psychiatric and behavioral issues. 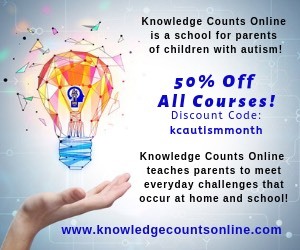 He was the only person in the world who obtained certification in the three major approaches to working with autism spectrum disorders: ABA, Relationship Development Intervention (RDI) and Developmental, Individualized, Relationship-Based (DIR/Floortime) methods. Updates contributed by Katherine G. Hobbs, a freelance journalist and university student studying English, with an emphasis on journalism, and psychology. She is interested in the impact of having a special needs child on the family dynamic. Katherine is dedicated to bringing awareness of resources to families and providing help to those who love their autistic children. You can find her online at katherineghobbs.com. David Sponder is a Licensed Education Psychologist who has been working with Individuals with Special Needs for over 30 years. 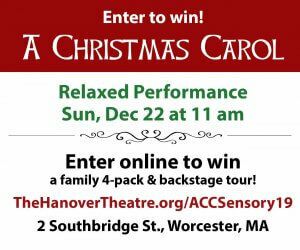 In addition to the L.E.P., David holds a Master’s Degree in Special Education and Teacher Specialist Credential for Children with Severe Handicapping Conditions. 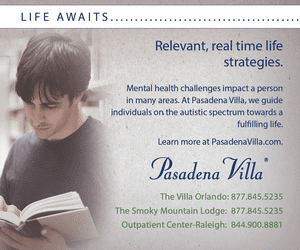 His specialty is working with children with developmental, emotional, psychiatric and behavioral issues. 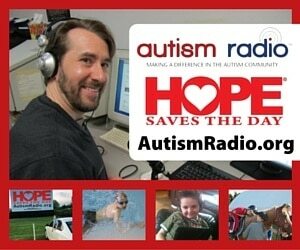 He is the only person in the world who obtained certification in the three major approaches to working with Autism Spectrum disorders: ABA, Relationship Development Intervention (RDI) and Developmental, Individualized, Relationship-Based (DIR/Floortime) methods. – Can you please expand on how to deal with it but not at the table, my son leaves the table to mess with something around 5 or more times per meal (sensory seeking), how would you handle that? So the same new food should be given with let’s say each evening meal every night for 20 nights? I am going to try to implement this in the Summer, thank you for the advice above and I look forward to reading your response. Autism is not primarily a psychological problem — it’s more of a pathological problem due to brain damage. So instead of treating the symptoms, we should be treating the root cause.